Please join me in expressing gratitude and thank all the veterans of all wars for their great service and tremendous sacrifice to our Nation. 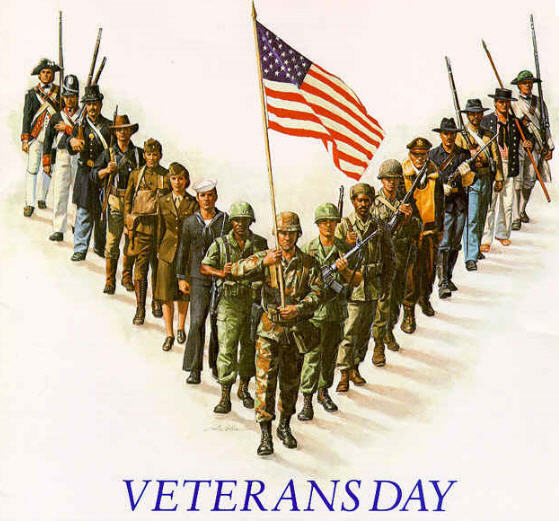 Here is an incredible video to remind us that Veteran’s Day is not about sales, but sacrifice. If you want to do something for those serving our country, visit Operation Gratitude. Again, thanks to all veterans, past and present, especially my son Michael and his buddies serving in Iraq.